Merlin ultra offers full high-definition color and contrast, resulting in sharp crystal clear images and vibrant color accuracy. Merlin ultra’s new Full HD camera allows for a wide field of view, displaying more text on the screen in amazing detail. 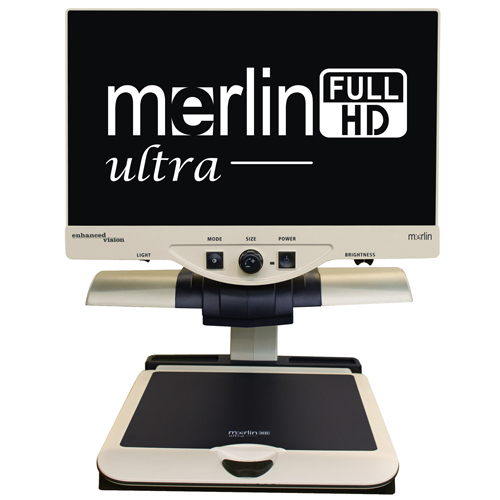 Simply the greatest value and best picture quality available in HD desktop magnification, there’s even more to see with Merlin ultra!